Hello, I play X/Y/OR/AS and I have been playing since gen 4. 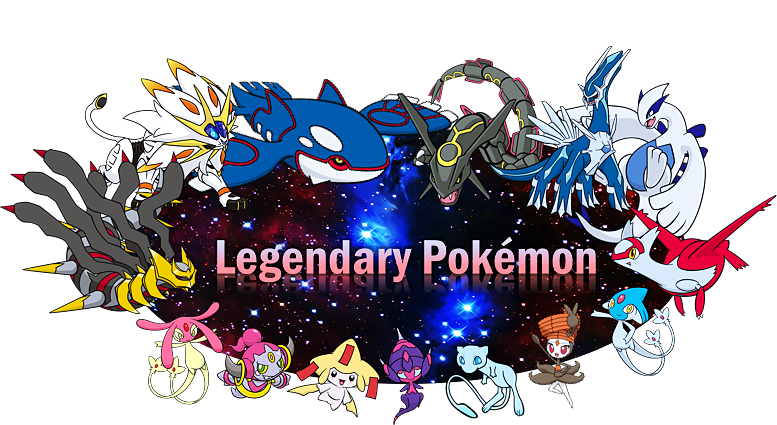 Starting in 5th gen, I noticed online how difficult it was to get most legendary pokemon, mew, celebi, arceus, meloetta, etc. I made it a point to get at least 1 legit of every legendary pokemon in the book [at that point, which was articuno--genesect]. When the notion of transfer arose, I got a little worried. I didn't want to permanently lose the friendship that I had built with the pokemon in one game, and what if something went wrong with the transfer process? or I later lost the new game? That was when I carefully researched cloning, to make an exact copy of all the pokemon I wanted to transfer before transferring. After I transferred the ones I wanted, I realized that a copy of a legit pokemon makes a second legit pokemon, and if I could transfer one copy, I could transfer several, over and over again. Immediately, I filled my pc with 15 of every legendary articuno to genesect, both shiny and non [except for shiny locked ones. each passes successfully through transfer, proving legitimacy. Once my pc was full of them, I reached out in many places as I could to try and let people know: since I have as many as I'll ever need, I trade them away free [for zigzagoons/fletchlings/anything you easily find]. --I'm not always fully stocked. --time zones may not always mesh, there may have to be arrangements or compromises. [one stays up really late, or wakes up really early] I am in Central Time. so an update: the legendaries come from the method above, cloned from gen 5 and transferred. but the new way I do this, I don't clone them in my gen 6 or 7 games anymore. for one, I have next to no pc space in gen 7. so what I do now, is I found this awesome save manager, I export the save file with the legendaries in it. then I trade them away. then I re-import the save file, and just like that, the legendaries are back. so now, when I say free, please don't feel like you need to give me something good anyway. my new priority is pc space, so please note that with my new giveaway method, whatever you give me will be COMPLETELY OVERWRITTEN, never to be seen again. so please, don't try to give me shinies or anything! I also have some of the new 6th gen events. thanks to the pokebank update, the giveaway can now span both gens, so when you post please specify the game or gen you are needing this in. Magearna from the qr code event! Marshadow! I have a japanese legit marshadow, and one that I pkhexed to have an english name and origin. if you request a marshadow please specify which you want. -LEGIT english marshadow from the gamestop event! from now on, if you request a marshadow, this will be the default one I give unless you request otherwise. I now can offer all separate forms of deoxys! up to this point, aside from the ones traded to me, the normal rei/heatran, they say date met 2016 because I was unaware my ds thought it was 2016. this has been corrected and the rest should say 2018.
movie hat available for USUM only. now also available in gen 7: event shiny raikou/entei/suicune, aldora HA articuno/zapdos/moltres, pokebank regirock/ice/steel, all 20th anniversary events, origin giratinas, shiny and non! I now have all rotom forms shiny and non in gen 7. Zeraora is for ultra games ONLY. I have all 20 vivillion patterns as well now [some jpn] if you want any of those! I also have a giveaway for all forms of unown now, shiny and non shiny! everything listed above above is now available in ultra sun and moon! I know it's not technically legendary, but I redeemed the shiny silvally from the event as well, so if you want that it's also available. I have recently been informed by nintendo's website, that type:null and silvally are also legendaries, so I now offer shiny and non shiny non of both! Info to the left, +1 rep for this INCREDIBLE giveaway! I would really love to get a shiny eevee and a shiny rotom becouse I think they look so cool, they are my favourite shinies. And if it works or could be possible I would want regular celebi, because its my favourite legendary.